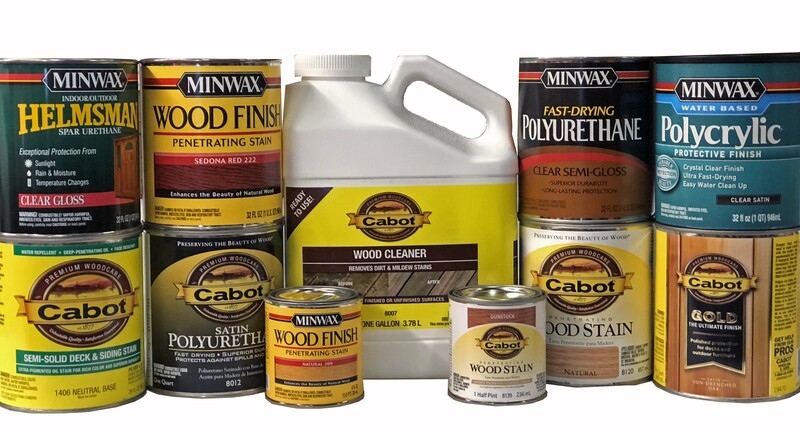 Home > About > Articles > Company News > All Minwax and Cabot Products 15% Off! Trying to catch up on wood projects? All of our Minwax and Cabot Interior and Exterior products are 15% off through October 31st. Whether you are staining, cleaning, protecting or maintaining we can help.